It’s the Season for pumpkins & spice – and something nice! 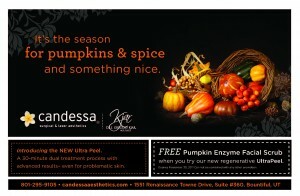 *Purchase an Ultra Peel and get a complimentary glo pumpkin scrub at home product. 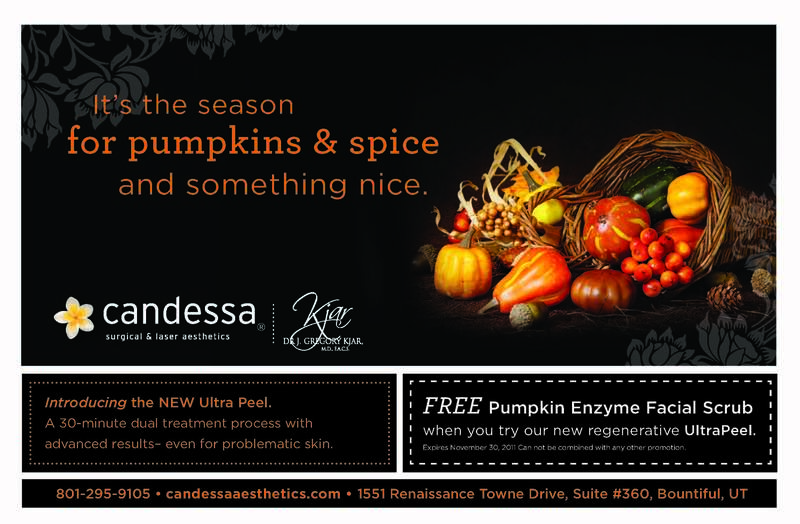 VIP newsletter members get an extra 20% off their peel. *Purchase any product over $150 and get a complimentary eyebrow wax/design and tint ($45 value). Products include Revitalash, Latisse, Obagi, Jane and glo. *Plastic Surgery Special: Purchase any cosmetic surgery procedure over $3,500 and get $250 off. Pay with cash and get an additional 2% off. Can not be combined with any other promotion. Can not be combined with CareCredit financing. $500 surgery reservation must be paid by November 30, 2011.